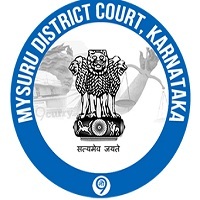 Mysore District Court Jobs Recruitment Notification 2019.Mysore District Court inviting applications for the positions of Peon.Interested and Eligible candidates can apply for the positions. Selected candidates will get Rs.17,000–400–18,600–450–20,400–500–22,400–550-24,600-600-27,000-650-28,950 from the organization. Look around for “Mysore District Court Recruitment 2019 for Peon Posts“.